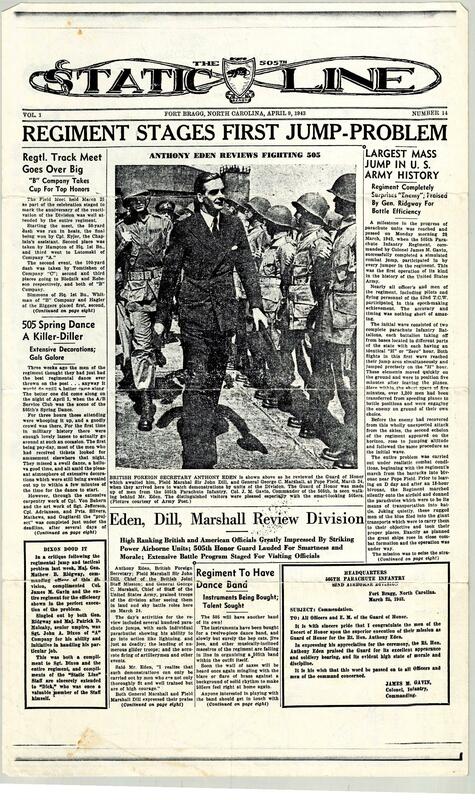 The first page of Static Line from April, 1943, reprinted by the South Jersey Chapter of the 82nd Airborne. 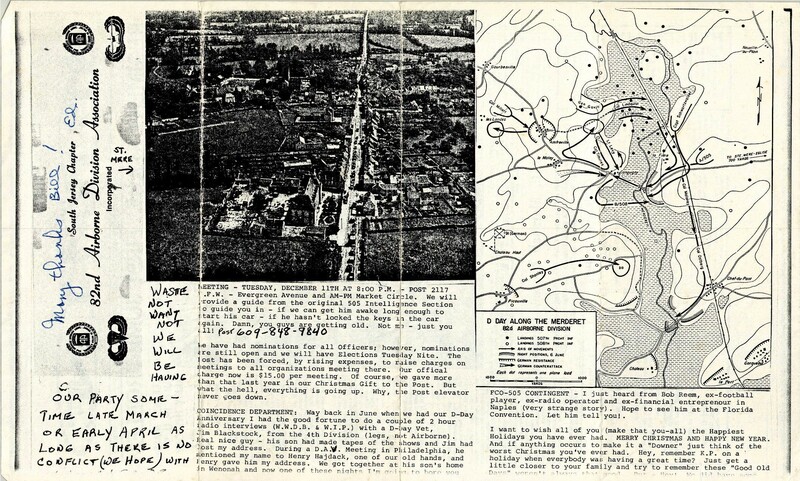 On the back (below) is a map from D-Day, a picture of St. Mere-Eglise, and some chapter information and notes. I believe the back was written by Ed Slavin.